eBizUniverse designed a website ideally suited to our budget and needs for our store. 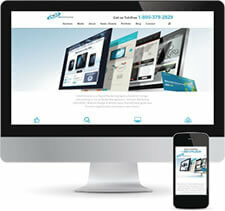 After just a couple of emails they came up with a great custom web design that has a clean and fresh look. If you’re thinking about hiring a web design firm, I highly recommend eBizUniverse. Their prices were reasonable and the response time and customer service is excellent. I’m pleased with their services and will I will definitely use them again. Ive also referred another business to them. Being a personal trainer in a large city, it’s hard to get noticed among thousands of other trainers. Since using eBizUniverse for SEO and web site design, my website has seen a tremendous increase in visitors which has translated into more clients for my personal training business. I look forward to getting even more clients after my SEO is finished as my page climbs towards the first page on Google! Yellow Pages did not generate a single response, so we hired eBizUniverse and they changed our business. We are now networked and we are getting calls regularly for both our locations. We went from page 30 in Google to page 1. I highly recommend eBizUniverse. We hired eBizUniverse Internet marketing and SEO to promote our website right after they finished the web design. We wouldn’t be where we are in terms of online sales if we hadn’t optimized about our website. A website is of not more than a brochure if there’s no online marketing to propel it and we’re glad our website is the best salesman for our company! Are you struggling with website search results? Are you wondering why your competitor’s website appears on the first page of a search result and yours is on the last? They may be doing something, you aren’t doing – like SEO! Our team has the answers to solve your Medial Planning and Buying needs. 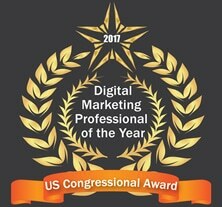 Contact us today via social media, e-mail, or by calling our main line at 847.220.9541.
eBizUniverse is an award winning Digital Marketing Agency based in Chicago specializing in Social Media Management, Internet Marketing (SEO/SEM), Website Design & Mobile Apps that will help grow your business significantly and acquire new clients. Facebook has more than a billion active users and half of them log in on a daily basis. 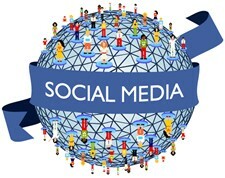 Through Facebook advertising, you can be sure to reach any target group. You may be the local beauty parlor, restaurant or a Fortune 500 organization, but eBizUniverse will show how to build your brand equity through Facebook advertising. With access to over 500 million members on the world’s largest and most popular professional network, LinkedIn boosts sales lead generation by allowing sales pros to easily and quickly find the right prospects leading to more sales! 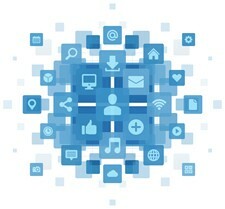 Stay connected with your customers using email marketing & campaigns. With our email marketing tools you can increase awareness, target specific customers, and easily measure user interaction. Create lists, emails automations, and much more. Unlike Facebook or Twitter, blogs do not generate immediate leads, which is one of the main reasons people are hesitant to spend resources on this strategy. But always think about the long-term. Your unknown blog might soon become one of the most visited sites. eBizUniverse has a team dedicated to writing your perfect blog to reach people. Search Engine Optimization (SEO) is a method used to increase the traffic a website receives from search engines. This is done by improving the ranking of a website on a search engine’s results page (SERP). 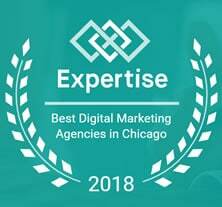 eBizUniverse, a Chicago SEO agency has a team composed of individuals who have years of experience in Search Engine Optimization and Internet marketing. Most business owners and individuals fail to comprehend the importance of online reputation management (ORM). They fail to understand the ways in which poor online reputation affects their sales numbers. Neglecting your online reputation can really affect your bottom line and even tank your business in some cases.